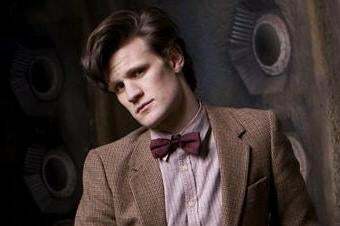 Matt Smith coming to America: The Doctor faces the fearsome might of Richard Nixon! American Doctor Who fans, rejoice: The long-running time travel show will indeed be filming in the U.S. this fall, for a story in which the Doctor and his friends visit Utah in the late 1960s... and then the Oval Office. According to a press release from BBC America, next month the Doctor Who team will do some actual filming in Utah for a special two-parter co-commissioned by the BBC and BBC America. It's "a story set in the late ‘60s in which the Doctor, Amy and Rory find themselves on a secret summons that takes them on an adventure from the desert in Utah - right to the Oval Office itself." And River Song will be along for the ride as well. Will the president be LBJ or Richard Nixon? Update: Alasdair points out that this story could have something to do with the hint that Steven Moffat dropped in the latest Doctor Who Brilliant Book, about "Apollo ten and a half". Since Apollo 10 and Apollo 11 were both launched in 1969, that would put Apollo ten and a half in 1969 as well — which would indeed mean that the president would be Nixon. We reported on this as a rumor on Friday, but now it's official, and it's not just second-unit filming, but the entire cast and crew! The Doctor has visited every weird and wonderful planet you can imagine, so he was bound get round to America eventually! And of course every Doctor Who fan will be jumping up and down and saying he's been in America before. But not for real, not on location - and not with a story like this one! Oh, you wait! If Nixon does indeed turn up in this story, who do you think they should get to play him?